How many electrical companies does it take to change a light build? Just one. RST Electrical has recently undertaken a commercial lighting maintenance and refurbishment contract at a car garage in Worksop. Walkers Worksop needed nine lamps attending to in total, but it's no joke! 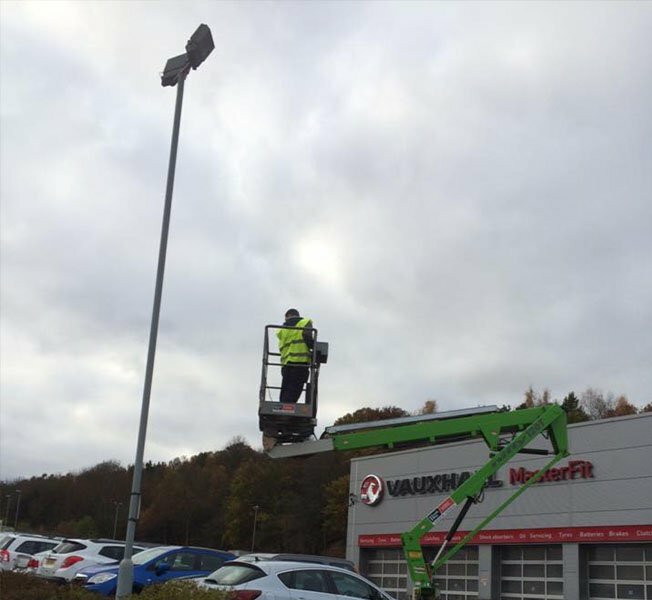 Reaching the height of the lamps required lifting equipment and careful manoeuvring between the cars below. For more information about lighting maintenance, please call us on 07860 775307 or email info@rst-electrical.co.uk.